Mark Magsayo won the biggest fight so far in his career against Chris Avalos last April 23, 2016, in Cebu. In that fight, Magsayo wins via impressive performance but a lot of people saw Magsayo's flaws and they said that Magsayo is not yet ready for a world title. He was throwing wild punches, lack of defence and not throwing jabs. Magsayo also said that he is not yet ready for the world title and he needs to work harder and harder for him become a world champion. Aldeguer said that Magsayo needs now to rest. He also said that they add Magsayo in September card and not on July where he was originally in the line up. 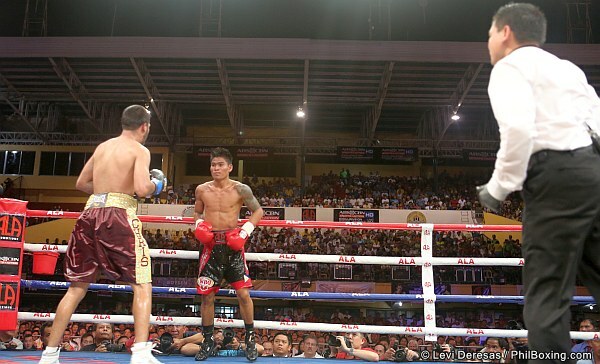 Aldeguer also informed he will have Magsayo trained with Roach in Los Angeles for the September card. “Roach likes him a lot so that's our plan. We will bring him to the US to train with Roach,” Aldeguer added.